Come and check out our sun control sunshades! They are sure to help keep your car cooler during these long summer days. 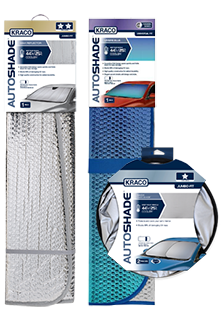 Our Auto Shades come in a variety of sizes to meet your car needs. We have the lowest prices in the nation~GUARANTEED!